“God delights in impossibilities!” wrote Andrew Murray years ago. I love that quote, but I’ve learned something throughout the years: those impossibilities that God works in, out, and through usually come on the heels of prayer, intercession, and an all-out (or all-in!) faith. Living and working cross-culturally among a people group who are extremely religious–yet refuse to accept the grace of God that leads to salvation–demands a life of continual faith, prayer, and waiting on God to ‘delight in impossibilities’– which were many. I faced all those ‘impossibilities’ when God put it in my heart to host a public gathering of women. He wanted me to proclaim salvation and hope found in Christ to them, asking me to take a step of faith. Impossible? In the natural, yes. Let’s start with the biggest impossibility: I was an outsider. The neighbors told us our kids couldn’t play with their kids because we weren’t one of them. Our landlord was branded a rebel and shunned for renting a house to us. When I would go shopping, women would stop, stare, and whisper to each other when I turned down their aisle. Then the other ‘impossibilities’ included me being a female credentialed minister of the Gospel who would be preaching publicly in a large gathering of women that was not sanctioned by the local authorities. This was truly scandalous! Forbidden on so many accounts – but not God’s, who was ready to delight greatly in this! The first thing we did was make this a matter of prayer. God moves in response to prayer! Do we really believe James 5:16 that says “the prayer of the righteous is powerful and effective?” I believed it with all my heart. I still do. We also fasted, asking God to break demonic strongholds and cast down oppression. Then, we invited our prayer partners to intercede specifically for this event. We did logistical things like find a place, make sure we had sound equipment, a keyboard player, and a singer to lead in worship. A major problem we faced was seating. We didn’t have chairs! So we began knocking on doors and making phone calls (to those who had phones) to borrow chairs. We had to convince most –who were fearful and doubtful already over the entire gathering – that this was indeed a God thing. We would get two chairs here, three chairs there. We kept at it and the day of the event finally arrived. We had managed to gather forty-nine chairs! Before the doors opened, I stood and looked at the chairs lined up in rows. It was beautiful! My team and I prayed over each chair, that the Holy Spirit would minister powerfully to the woman who would soon be sitting in it. Then we waited for them to arrive. They arrived slowly at first, in small clusters of two or three. Some of the new believers asked why we had so many chairs? They did not believe, or expect, that so many would show up. “Impossible!” their expressions revealed. They knew well their culture; they had yet to learn God’s nature. It was time to begin, and many of the seats were still empty. We opened in prayer, then sang a few hymns and worship songs. During that time, I closed my eyes and prayed, reminding God of his instruction and promise, and again asked Him to bless the preaching of His word so that lives would be eternally changed. Then I stood, and spoke. It was a groundbreaking event. Some women accepted Christ that day. Others only listened. But each one heard the message of the Gospel…all forty-nine of them! >God delighted in that impossibility I faced. Now he’s waiting to delight in whatever impossibility you might be facing. Are you ready? 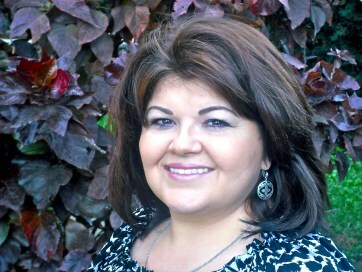 Ilona Hadinger is a missionary with Assemblies of God World Missions. She and her family currently live in a Zapotec village in Oaxaca, Mexico where they make disciples and train leaders among indigenous and unreached people groups. Be sure to check out her blog here, and leave a comment below to let her know you appreciate her testimony! Doesn’t a lot of the things in the Bible sound impossible? It’s only impossible for us, not with God. I agree that many things in the Bible sound impossible, and that all things are possible with God. Yet we must take a step of faith to see those impossibilities become testimonies. We are key players in God’s miraculous ways. Blessings to you. What a testimony! This reminds me of the story of Elisha and the widow, who was told to collect as many containers from her neighbors as she could, and they were all filled with oil from the one jar she had. This was really a blessing, thank you for sharing with us. I’m glad it blessed you. God is good. We are ourselves and our thoughts our worst enemy in most of situations of life. Interesting comment, though I’m having trouble making the connection to the article. I would love to see you expound on your thoughts.